SpaceX promised to fly tourists to the Moon. How's that going? Last year, Elon Musk's hard-charging rocket company SpaceX announced it would send two paying customers on a trip around the moon sometime in late 2018. Nothing else has been announced officially, but there have been several indications in recent months that the mission won't happen this year — and maybe not for few years. SpaceX spokesperson James Gleeson confirmed in a statement this week that the company "is still planning to fly private individuals on a trip around the Moon." But he declined to elaborate or comment on the mission's timeline. Elon Musk's SpaceX has said it plans to send 2 paying customers to the moon. The initial plan was to fly the space tourists, whose identities are a tightly held secret, on a Falcon Heavy. That's the massive SpaceX rocket that delivered Musk's Tesla into space for its historic, inaugural flight four months ago. But Musk threw a curve ball in February when he told reporters that, for the time being, SpaceX had no plans to certify the Falcon Heavy for human spaceflight. That implied that his plans to use it to transport space tourists have changed. Instead, Musk said, SpaceX would turn its focus to its next bold idea: The Big Falcon Rocket, or BFR. That's the gargantuan spaceship and rocket system that the company wants to build to carry humans into deep space. Gleeson, the SpaceX spokesperson, declined to say this week whether the company has officially changed which rocket it plans to use to use for the Moon mission. But if plans to use the Falcon Heavy have indeed been abandoned, the anonymous space tourists could have a long wait until the ambitious BFR system is ready for them. Musk said earlier this year that SpaceX will begin testing just the spaceship portion of the BFR in 2019, and that the full system could be ready for deep space travel by 2022. Note, however, that Musk is known for highly optimistic timelines. He initially projected the Falcon Heavy, for example, would be ready to fly in mid- to late 2013. It actually arrived more than four years after that. 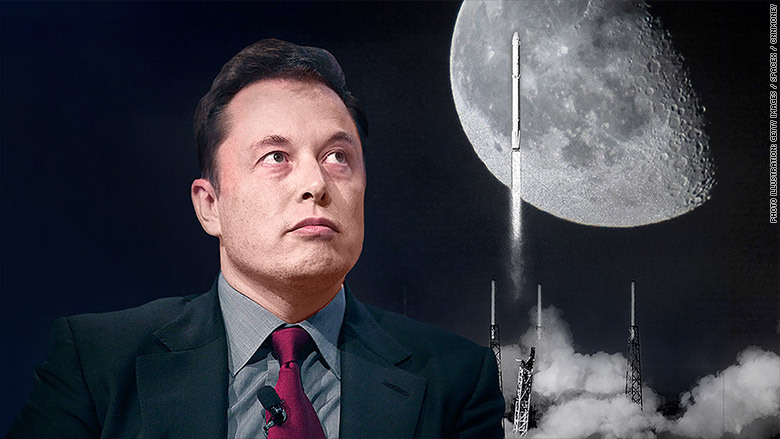 Even if Musk changed his mind and decided to use the Falcon Heavy for the Moon mission after all, it still isn't likely to happen before the year is out. The company said back when the plan was first announced that it wouldn't launch the tourism mission until after it was already flying astronauts for NASA regularly, and it hasn't done so yet. SpaceX inked a deal with the space agency in 2015 to develop a way to ferry astronauts to and from the International Space Station using its workhorse Falcon 9 rocket, a vehicle that's much less powerful than the Falcon Heavy or prospective BFR. But the company has faced significant delays — as has its competitor Boeing (BA), which also has a crew contract with NASA. The latest projections from NASA say SpaceX could deliver the first astronauts to the space station in December. The US Government Accountability Office has said it could actually be months later than that. A lot of questions remain about SpaceX's space tourism plans. But in the meantime, Musk's rocket company is on a tear, with its core business of making frequent uncrewed trips to space to deliver satellites into orbit or ferry cargo to the space station. In the early hours of Monday, SpaceX launched its 11th mission so far this year. That's an unprecedented pace of launches and further evidence that SpaceX has successfully shaken up a relatively stagnant rocket industry. 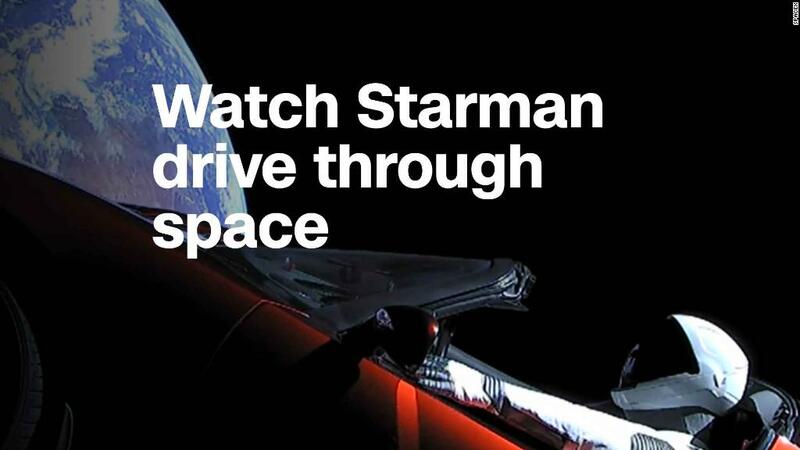 The company, founded by Musk in 2002, changed the game with its pioneering reusable rocket technology, which mas made space travel much less expensive than it had been.